Heyl Royster has the goal of resolving client matters in the most economic and efficient manner reasonably possible. We believe in an early evaluation and creative methods of solving a dispute. We are considered leaders in arbitration, mediation and alternative dispute resolution. The goal of the alternative dispute resolution (ADR) group is to reach the best solution for each client. Our firm's reputation in the courtroom and in arbitration has positioned us to be strong advocates in mediation. Because of our courtroom successes, opposing counsel are often willing to seek mediation resulting in favorable, cost-effective resolutions for our clients. Reaching a mutually acceptable agreement in a mediation can be very advantageous. The process is confidential which means that sensitive matters can be resolved without publicity. Recognizing the benefits of mediation, our clients find this to be an effective way to settle disputes in an economic manner with the least disruption to their business. Successful mediation is an art. Our lawyers skillfully organize the presentation of our client's case to maximize the opportunity for a favorable outcome. Due to the extent of our mediation practice, we are well-suited to select appropriate mediators for the issues involved in a particular case. Arbitration may either be binding or non-binding. With binding arbitration, the process is much like a bench trial where an arbitrator or panel of arbitrators resolves the dispute. This requires careful preparation and an effective presentation of evidence. Our trial skills allow us to be effective advocates for our clients in this non-courtroom setting. Non-binding arbitration affords an opportunity for the participants to take a new look at an ongoing dispute. It can follow a normal arbitration process or be abbreviated. However, at the conclusion, no binding decision is rendered. Often, following this process, cases can be resolved through traditional settlement negotiations. The goal of ADR is to economically and efficiently resolve disputes at the earliest reasonable opportunity. Techniques other than mediation and arbitration include mini trials, summary jury trials, mock trials and similar approaches. In appropriate circumstances, these procedures allow our client to reassess its position and more accurately evaluate the exposure. 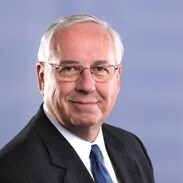 Some cases include product liability, legal and medical malpractice, nursing home vehicle collisions, construction accidents, and business disputes.